Chief Minister Prem Kumar Dhumal stressing the importance of the small scale industry in the all-round development of the country said that the Government of Himachal Pradesh was providing pollution free and investment friendly environment to the entrepreneurs in the State. He said that agriculture and allied sectors, micro, small and medium scale industries were providing ample employment opportunities to youth of the country. He said in the National Convention of Laghu Udyog Bharati (LUB) (Small Scale Industries Association) at Amritsar last evening. Prof. Dhumal said that now when the bio-technology sector was emerging fast, the State Government was making concerted efforts to create an environment which could promote this emerging sector in the State and endeavours were being made to set up such industries, which could not only boost investment and employment but also encourage pollution free environment. He said that efforts of the State Government were recognized at the National and International levels which were evident from the number of prizes Himachal got during the last four and a half years for the all-round development made in every sector. He criticised the UPA Government for withdrawing the special industrial package given to Himachal Pradesh much earlier than the stipulated period. The Chief Minister alleged that the Union Government was adopting indifferent attitude towards the State as some States were enjoying this special industrial package while Himachal Pradesh was deprived of it. He said that this package was given to Himachal Pradesh by the then NDA Government of Atal Bihari Vajpayee along with other North-West States of Jammu and Kashmir and Uttrakhand. Prof. Dhumal said that Himachal Pradesh was giving its consumers regular, cheap and uninterrupted supply of electricity in the country. Electricity duty was decreased up to five percent to the new entrepreneurs for setting up industries along with other facilities. 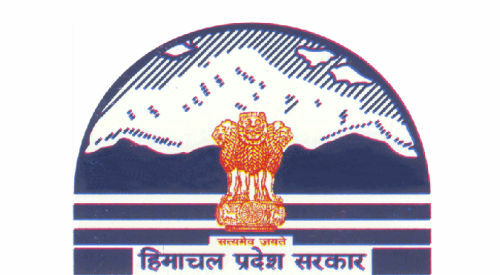 A separate Police District was created in Solan district at Baddi to provide ample security and safety to the industrialists in the State in addition to a separate tehsil, electricity division and Pollution Control Board office in the area. To facilitate the industrialists, the system of online clearance was initiated for issuing certificates for pollution. He said efforts were being made to harness every unit of electricity in the State as it was evident from the fact that when the present State Government took over only 2,238 MW of electricity was produced and presently it had harnessed 8091 MW. Chief Minister said that if proper investment had been made in small scale industries sector in the country the problem of unemployment could have been tackled at its best. To protect the interests of the farmers, efforts were being made to use the barren land by enacting new Act in the country. He stressed upon the need of developing land banks in such way that the agriculture and fertile land remained unaffected. He urged for working unitedly for making the country a pioneer in the world. He alleged that the country was making a smooth progress under the former NDA Government and the GDP remained more than 8.5 per cent during its regime but the present UPA Government deteriorated it to the lowest level. Chief Minister said that horticulturists were given various facilities to compete with the produce being imported to India. Best root-stocks from Israel were imported to increase apple production in the State and good results were recorded. Earlier, he released a souvenir published by the Laghu Udyog Bharati. He also addressed a press conference after the function. Anil Joshi, Industry and Technical Education Minister, Punjab said that the Micro, Small and Medium Enterprises sector should be encouraged as it was the backbone of the country. He said that efforts were being made to generate employment avenues and Single Window System was introduced in Punjab to encourage industry in the state. Earlier, Dinesh Lakra, President LUB, Punjab, briefed about the objectives of holding the National Conference. Sameer Khanna, President, LUB, Amritsar, welcomed the Chief Minister and other dignitaries. V.G. Vaghasia, National President and O.P. Mittal, General Secretary also spoke on the occasion. M.P. Kaushik, General Secretary of LUB, Himachal presented the demand charter.